Abstract floral graphic design that's a combination of retro style flowers and set on decorative background image with a rainbow color scheme. 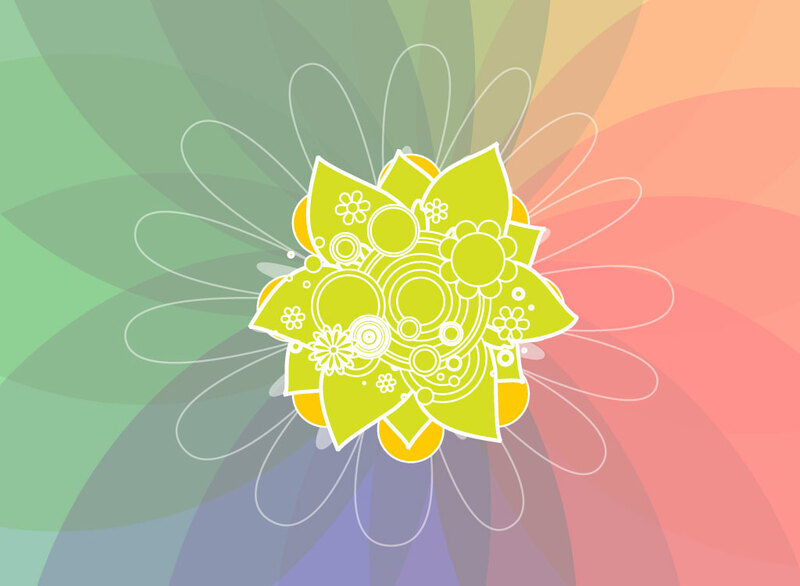 This free flower download has lime green and golden fills with white strokes. Fun Illustrator artwork for your greeting cards, t-shirts and collage projects. Tags: Abstract, Circles, Flower Composition, Flowers, Retro, Seventies, Sixties.